If you have been looking for the perfect way to sell your product and services on the internet, then I am pretty sure you have come across ClickFunnels or someone has recommended ClickFunnels to you. Then after visiting the ClickFunnels website, you may have had a bit of sticker shock when seeing the ClickFunnels pricing. Don't worry! You are not alone. 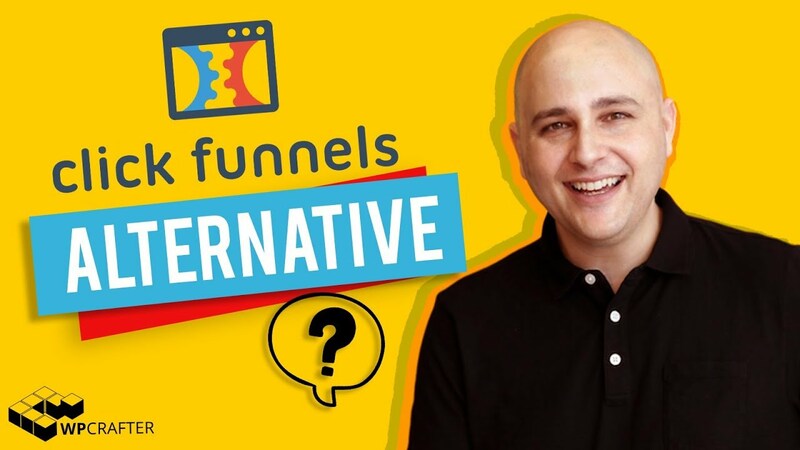 Many people have asked me to put together the best alternative to ClickFunnels and here it is for you. What Is ClickFunnels In a Nutshell? Before we get into this, it's important to have a clear understanding of what ClickFunnels is so don't cut any corners on our alternative tech stack. There are 2 ClickFunnels pricing plans, one for $97 per month and one for $297 per month. However, the $97 pm plan is very limited in its features and doesn't give you the full ClickFunnels product suite, so we are going to build an alternative to the $297 per month plan. Powering a third of all websites, WordPress is the perfect self hosted platform to build this ClickFunnels alternative. across ClickFunnels and you thought holy cow. be easier because it’s all integrated together. is that it’s a locked proprietary system. of what you’re going to need now with Siteground. Theme. It is one of the top themes for WordPress. it is. You can use it on unlimited websites. have to learn without to live without it. will be courses on creating video content. optional. If you don’t need an affiliate program. you don’t have an option to not pay for it. to work and then they just integrate the two. costs of a marketing automation platform. alternative video I will give you an alternative. plugs right on into your WordPress base website. you’re just getting started with your funnel. to get a web hosting account with Siteground. can you give us very flexible contact forms. It is an amazing tool and I just love it. be our checkout system are funnel builder. give us a cart abandonment a B split testing. subscriptions which will run you $17 per month. is a lot less expensive than 299 per month. any platform you get a full training platform. All of this for the low cost of $85 per month. Of course it might not even be $85 per month. a much better and much more powerful solution. box down below as well. So thanks for watching. Adam, my gosh man, you are awesome! Thanks for this info. I’m slowly getting my website up and running-like a pro because of you!!!! Only problem is, I don’t know how to keep my pages private, while working on it. Anyone have the trick to that?